Our Ocean bouquet is an impressive hand tied arrangement with fragrant white avalanche roses accented with blue iris blossoms, spray carnations and germini flowers. 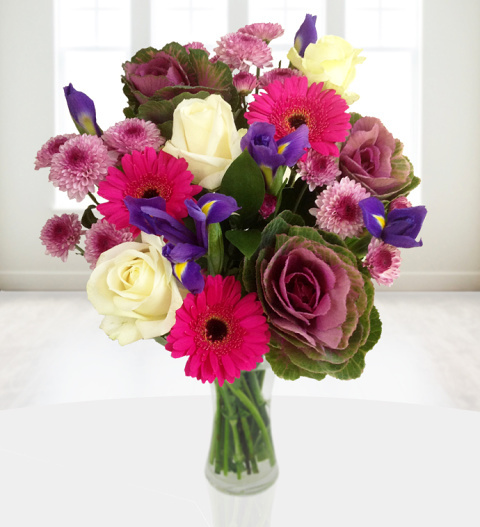 This is a beautiful seasonal bouquet that is perfect for all occasions and is expertly arranged by our incredibly talented British florist. The Ocean bouquet comes with a free box of delicious Belgian chocolates and is available for UK next day delivery. Chocolates may contain nuts.